Over the past week I have continued to monitor the Pied Oystercatchers along our coast and as usual I observe the birds fight against predation of both their eggs and chicks. 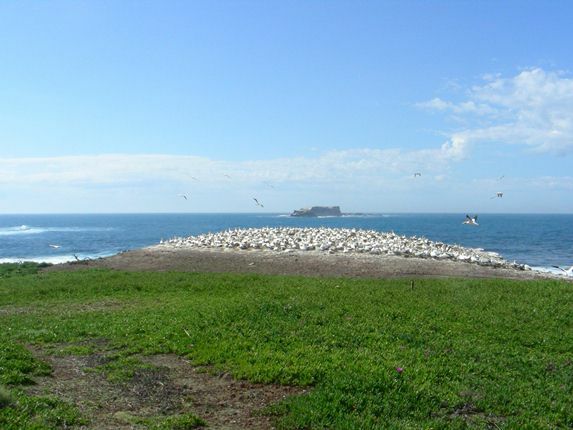 I thought you would like to know that there are some birds here on the Australian mainland that actually have protection. 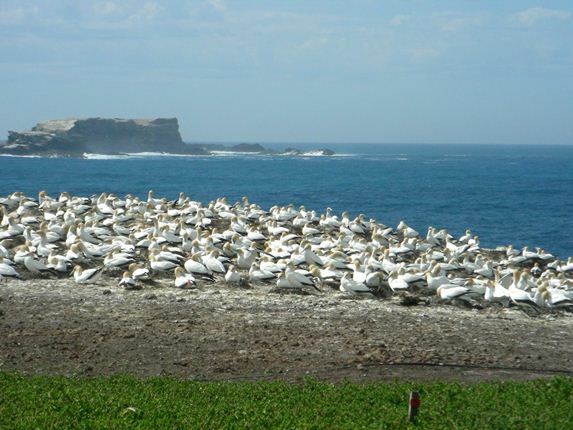 In October and November 2009 we spent time in Portland, Victoria with Grant’s work and it enabled us to see some new birds and animals along a very picturesque coast. The road from Melbourne to Portland is partly the Great Ocean Road and it is the world’s largest war memorial. The 243 kilometre (151 miles) road was built by returned soldiers between 1919 and 1932 and dedicated to the soldiers of the first World War. 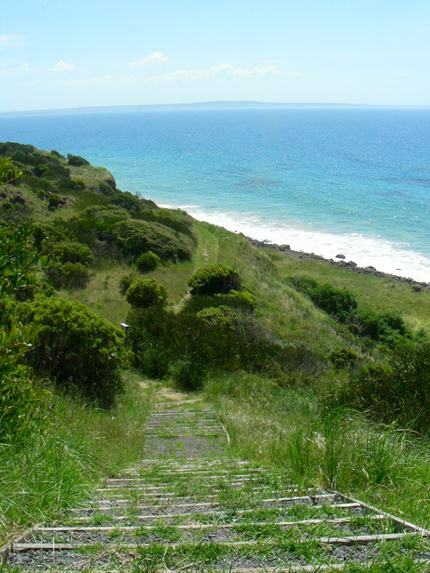 Once you reach Portland you can then participate in another section of coastline by walking the Great South West Walk, which runs for 250 kilometres (155 miles). 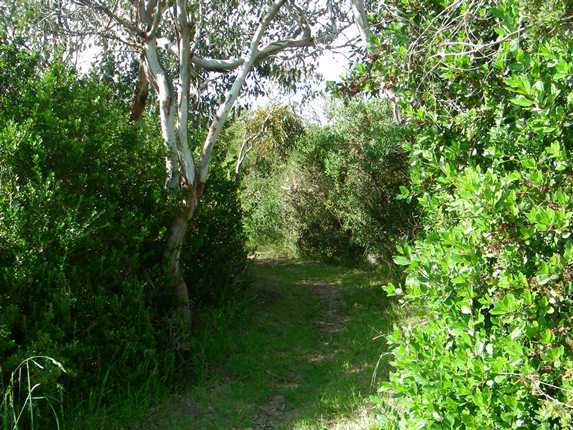 It takes about an hour along this walk to get to Point Danger due to the fact that it follows a very rugged coastline. The track is good, but we were warned to not walk too delicately so that the snakes would move out of the way on warm days! 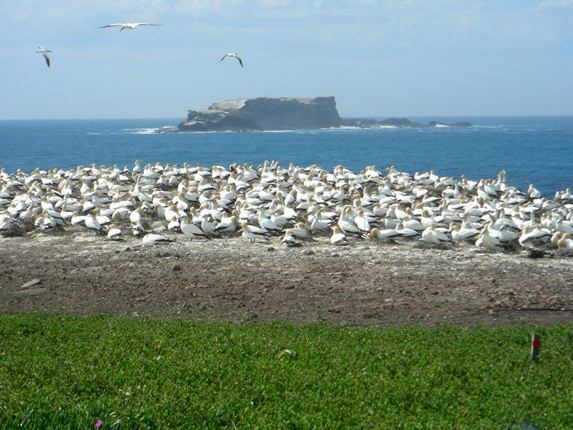 The main reason for anyone heading to Point Danger is it is unique for being the only mainland colony of Australasian Gannets on the Australian mainland and there have also been reports of the occasional Cape Gannet over the years. 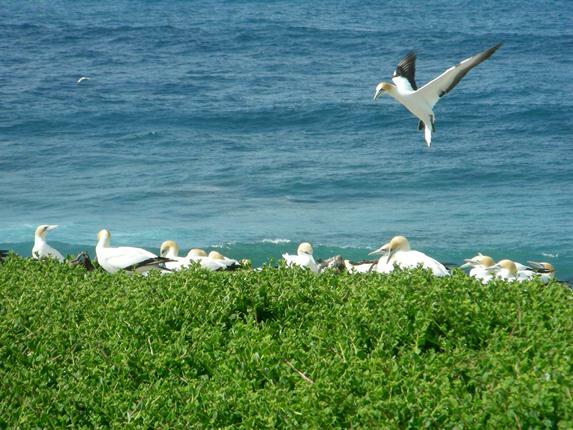 The birds first arrived on the mainland in 1996 after breeding on the nearby island, Lawrence Rocks. They had been breeding successfully until 2007 when every single nest failed due to predation by foxes. 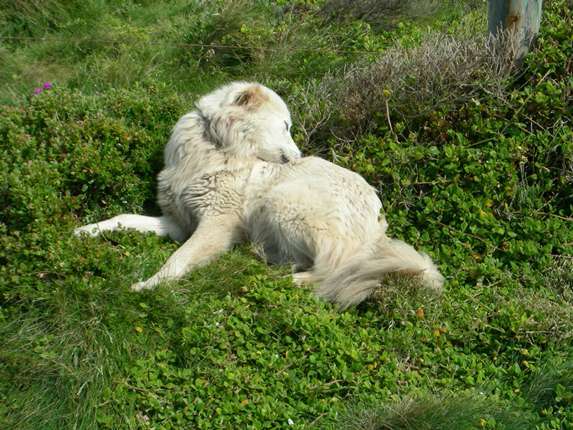 A solution was sought and a pair of Maremma dogs were put in place to protect the breeding colony. There were a few problems with the dogs wandering at first, but that has been resolved and there is now a successful breeding colony once more on Point Danger. If only you could protect birds all along our coast with such lovely dogs! The fox was introduced to Australia in about the 1870’s for recreational hunting and has become one of our feral animal problems since. There are too many eradication programmes to list for all our problem creatures here! Cane Toads are heading for Broome as we speak! There is a fence to keep the dogs in and they are fed each day to stop them from roaming. “Point Danger” and “warned to not walk too delicately so that the snakes would move out of the way on warm days” – Oh, come on: Which species? Did you encounter any? Feed us, puleeeeeease!? 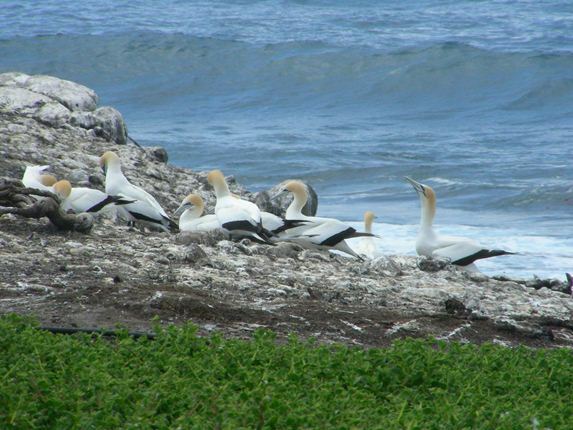 That’s very nice about the occasional Cape Gannet showing up in colonies of Australian Gannets. 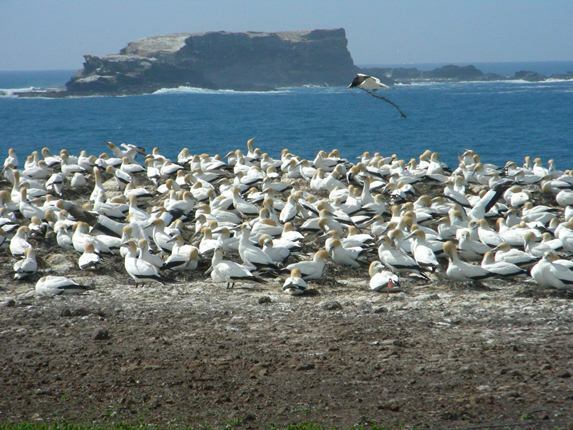 During my days in southern Africa, searching for Aussie Gannets in Cape Gannet colonies or generally along the coasts was one of my favourite past-times (although I only got to do this occasionally at Lamberts Bay where there had only been very, very few records). Of course I found none. Ha! And I can sing like Pavarotti in bear country.